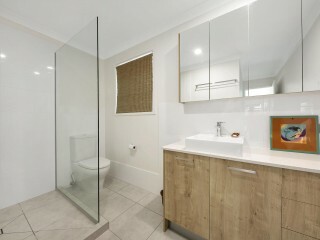 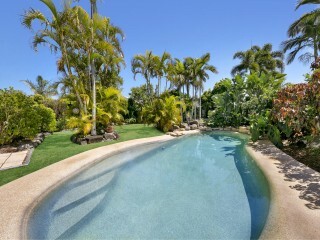 Private retreat in Noosa Waters. 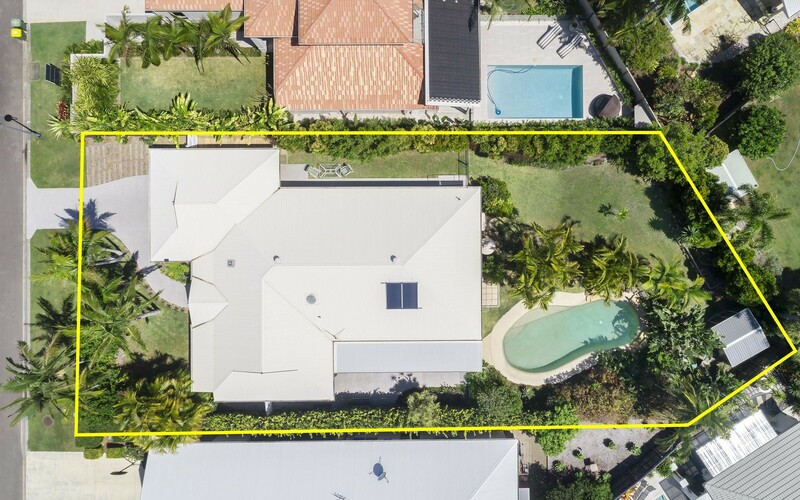 Rarely does a home within a residential setting allow you to feel completely private, that one home is 6 Sternlight Street. 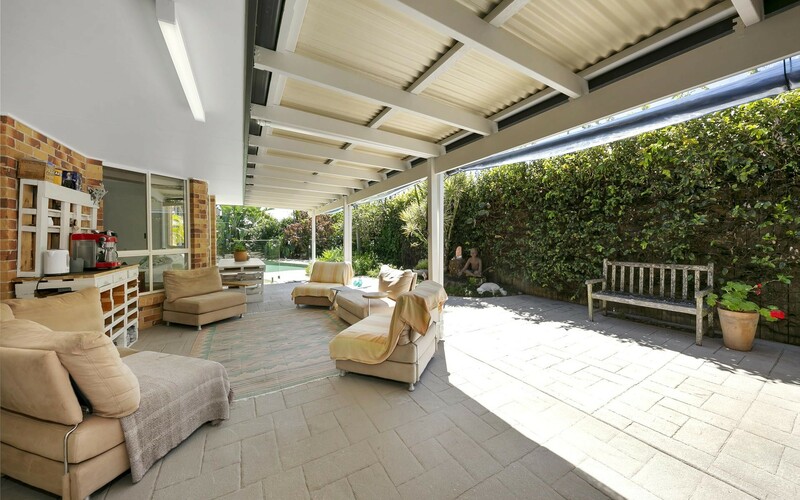 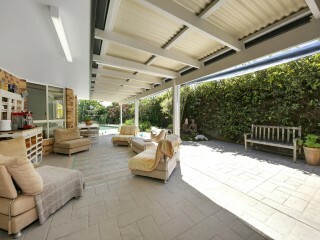 The home is set on an impressive big block with mature landscaped gardens creating a wonderful sense of space and privacy. 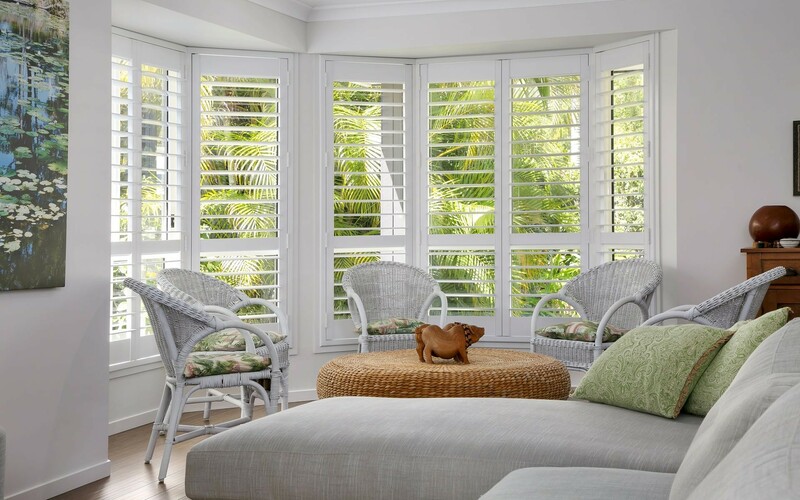 As you enter through the front doors you are greeted by the light filled lounge with plantation shutters and raked ceiling, the spacious living area flows directly to the outdoor entertaining patio and overlooks the resort style pool. 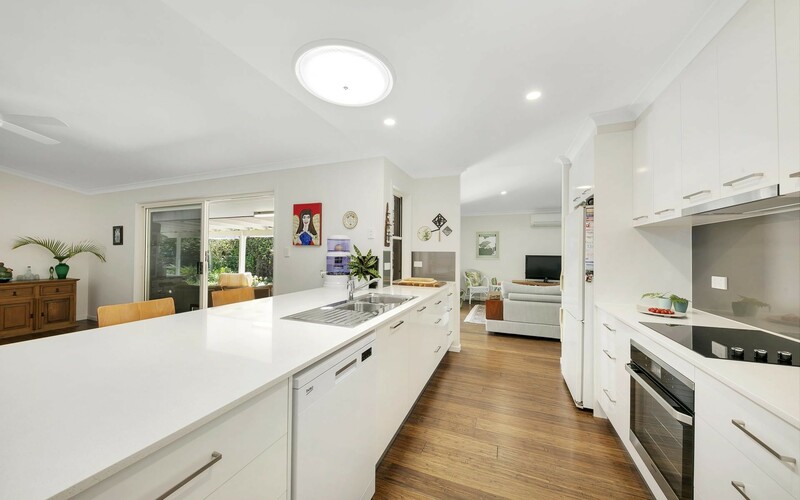 The kitchen is the hub of the home, with stone bench tops, European appliances and ample storage, the kitchen is well positioned to entertain in the separate dining lounge area or casual dining in the outdoor patio. 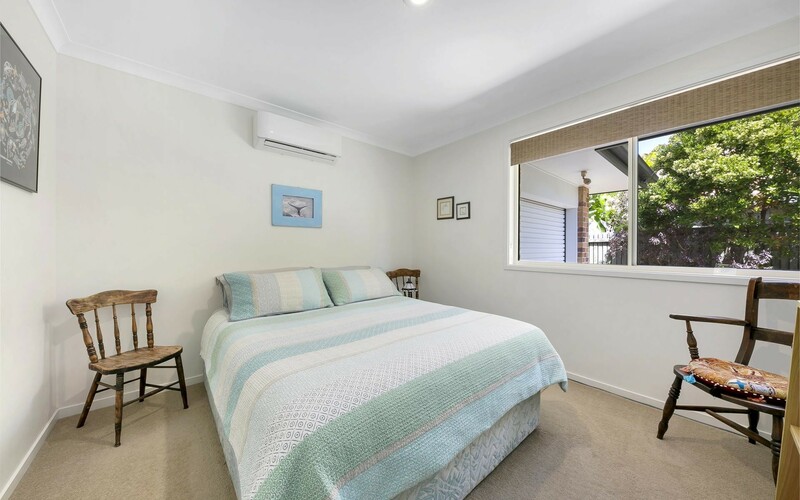 Two double bedrooms share a full bathroom, while the separate master bedroom offers a spacious ensuite and walk in robe while overlooking the rear garden. 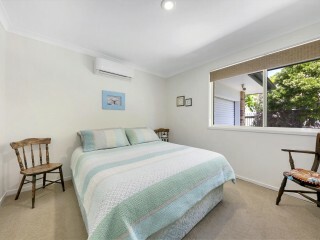 The home office is located at the front of the home and is perfect for working from home or in addition as a fourth bedroom. 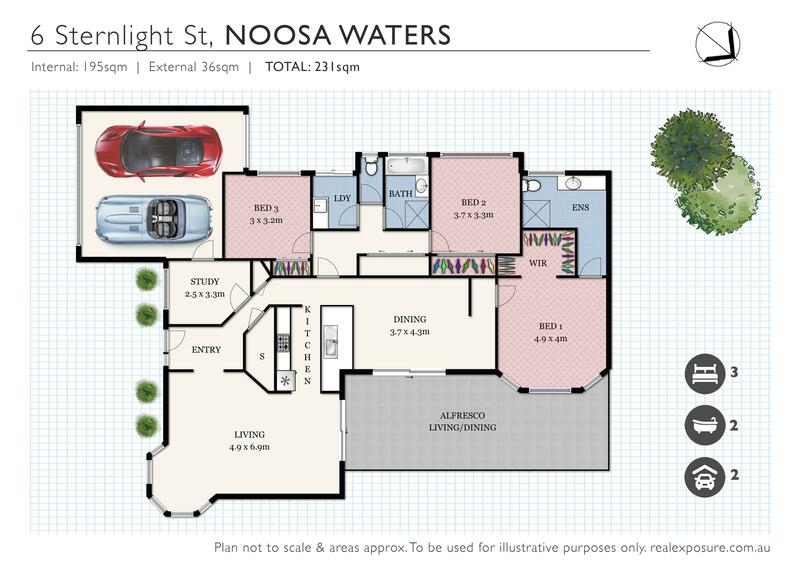 The spacious double garage has ample storage space for 2 cars and all of your sports equipment, while a rear roller door allows access to store a boat or trailer behind the garage. 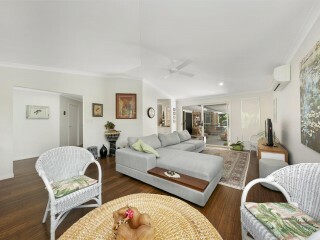 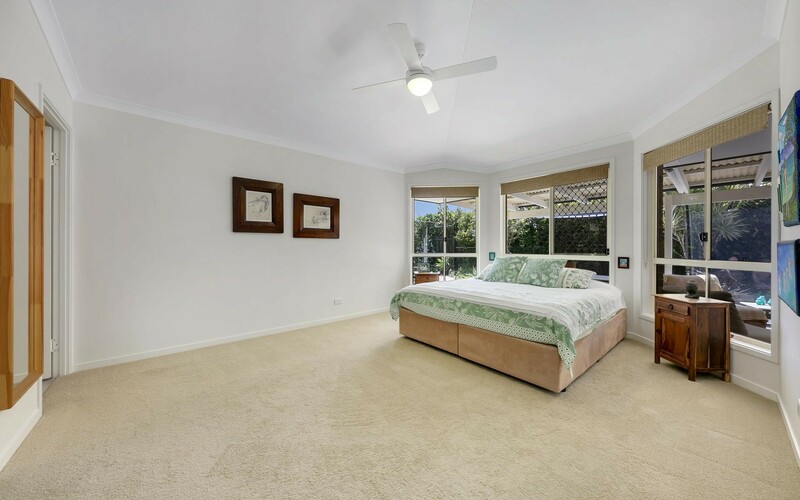 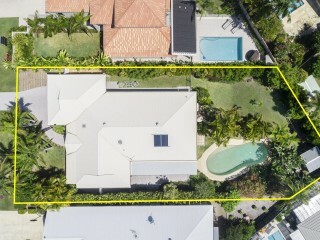 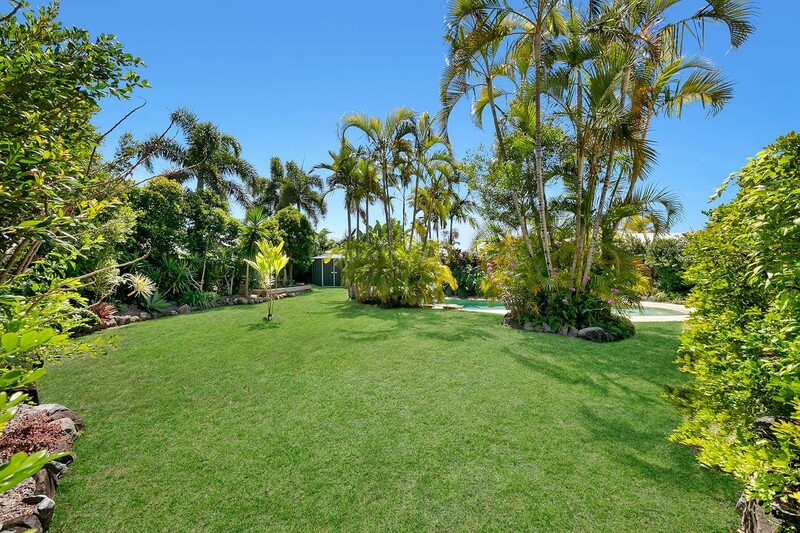 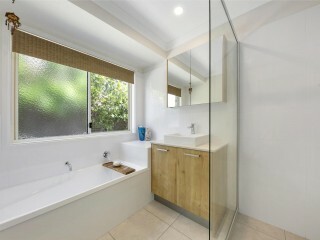 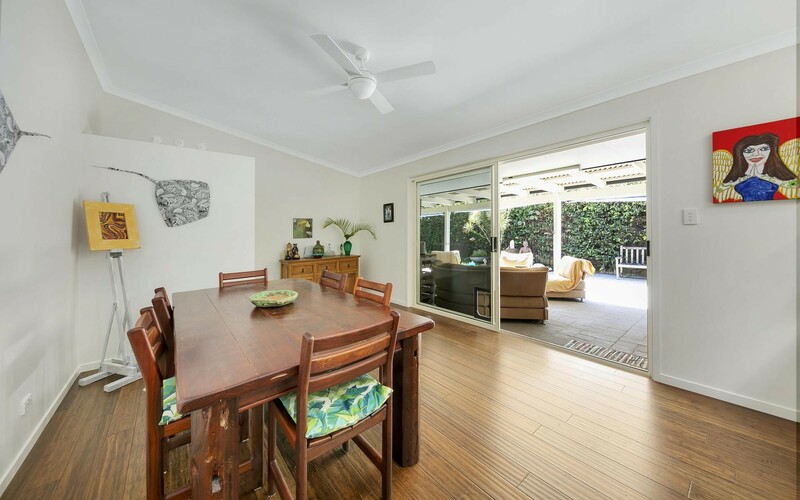 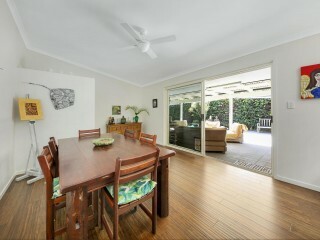 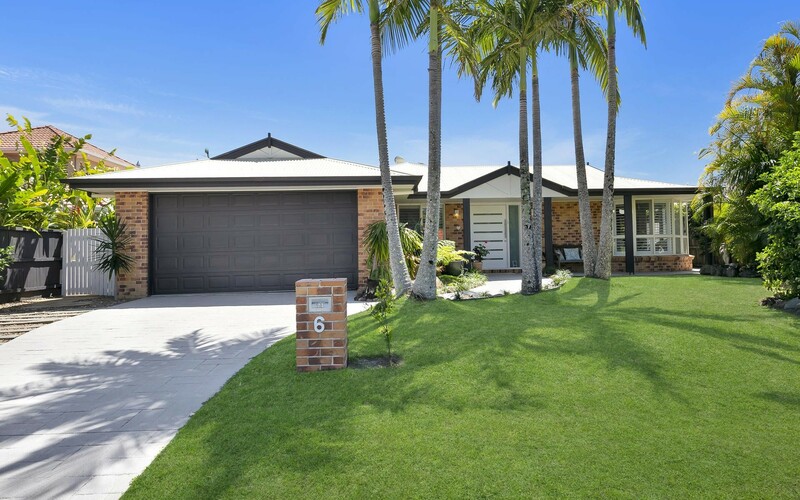 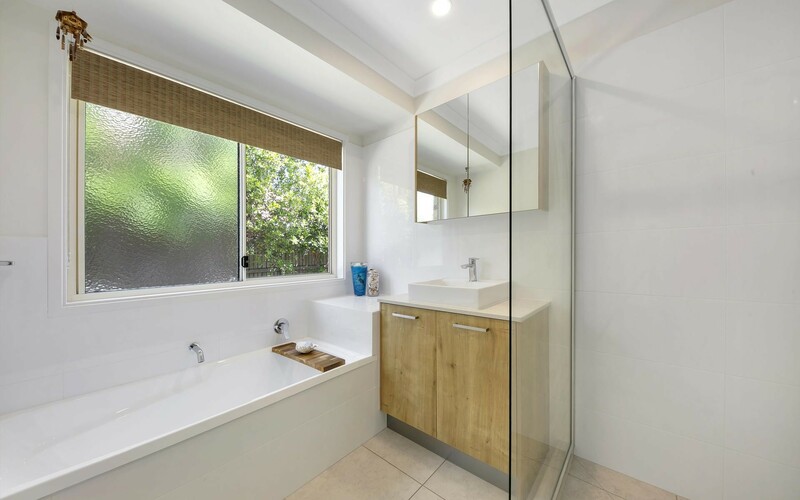 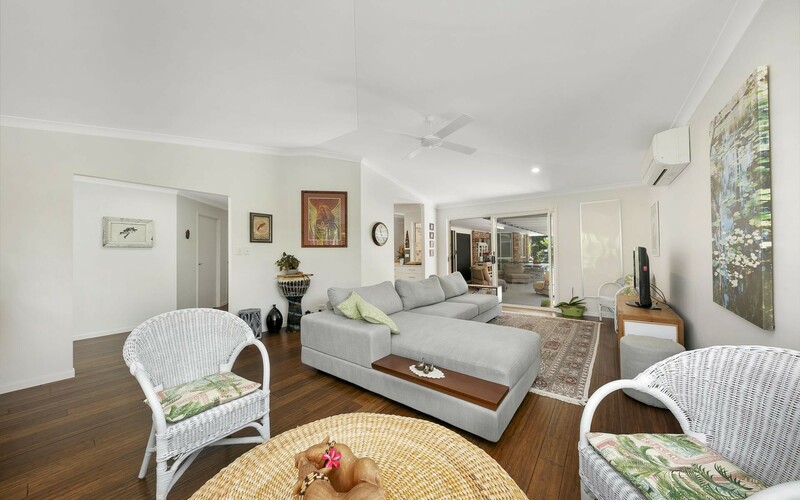 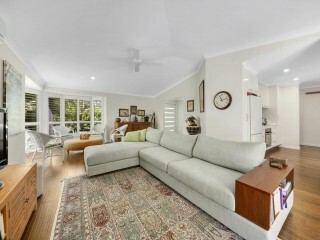 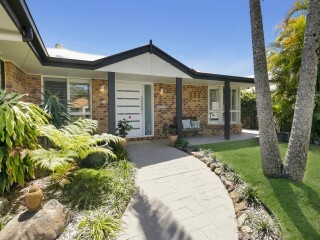 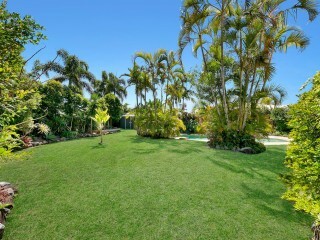 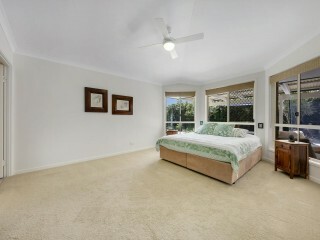 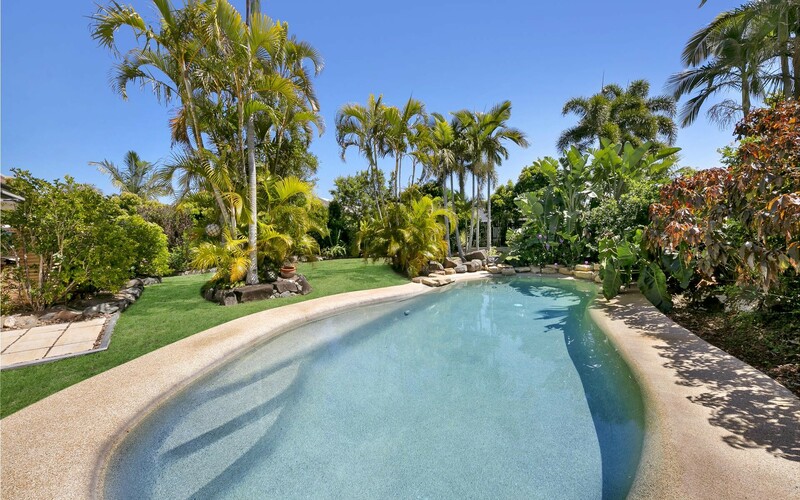 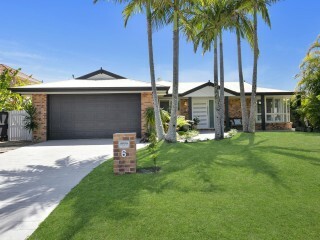 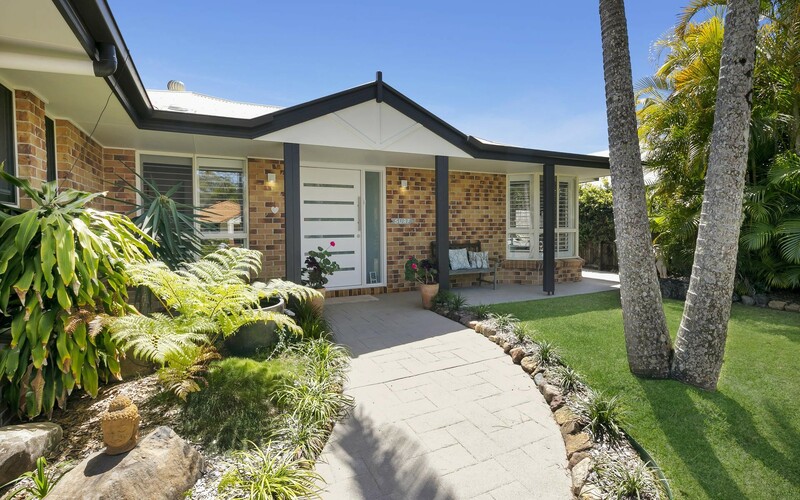 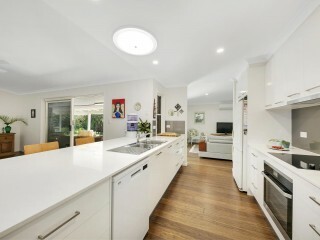 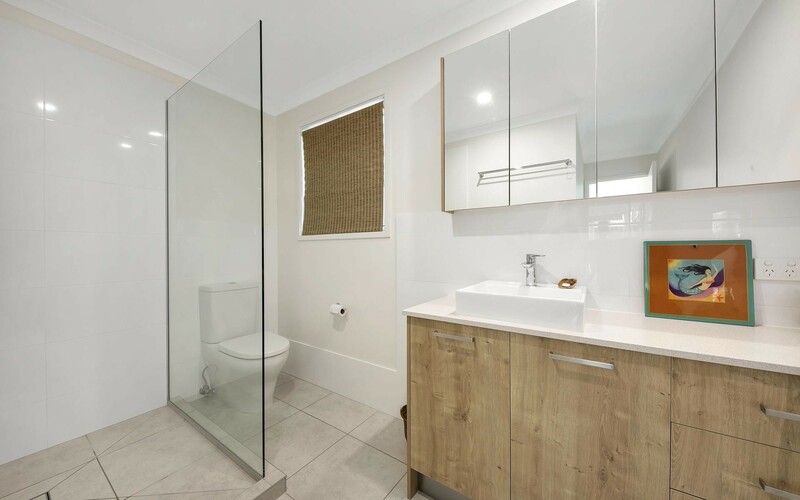 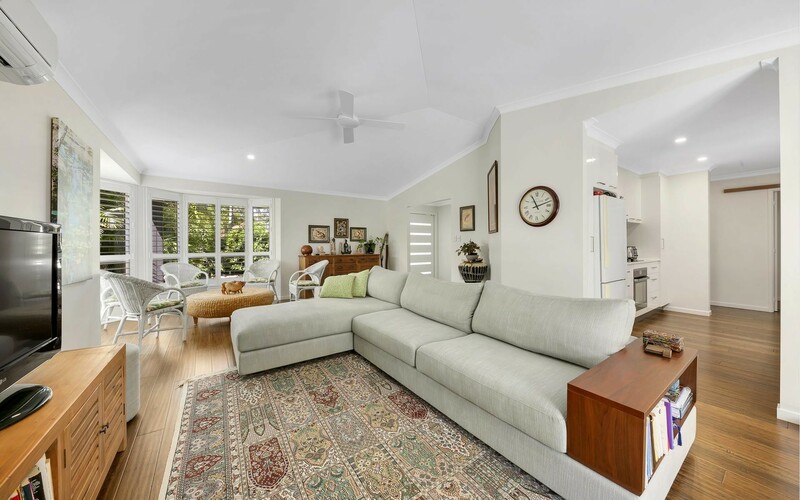 This home is ideal as a couple's home or perfect for a family that want ample room to play in the yard while having all of the convenience of having local schools and Noosa's best assets within minutes from your front door.